Marie Tyvoll, who coordinated a seventh grade hands-on program, says her concerns about safety were ignored. 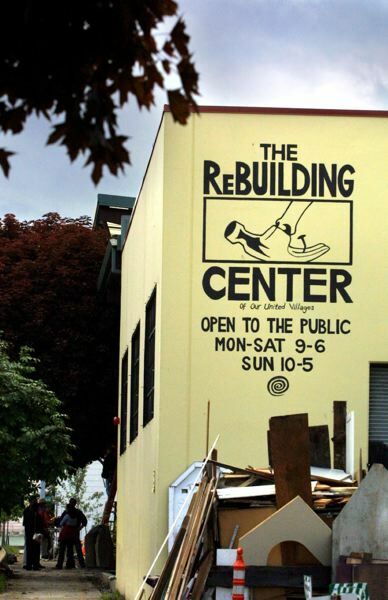 Portland Public Schools and the ReBuilding Center say safety is their top priority. Portland Public Schools is facing yet another lawsuit over its employment practices. Marie Tyvoll, formerly the coordinator of a hands-on tech education program for seventh graders, is asking Multnomah County Circuit Court for $830,000. Tyvoll says in the complaint that she was retaliated against for flagging safety problems at the ReBuilding Center in North Portland, where the middle-grade students would get introduced to equipment like band saws and nail guns. In the 17-page complaint filed June 11, Tyvoll alleges she was fired after outlining numerous safety concerns. Initially, reads the complaint, PPS administrators seemed open to her concerns, but by the fall of 2017 she stopped getting responses to her emails. Tyvoll said she tried numerous methods of elevating her concerns all the way to Superintendent Guadalupe Guerrero, with no response. She then directly informed Jackson Middle School Principal Kevin Crotchett of her concerns and successfully redirected his students to a different location for their Nov. 14-16 education program, according to the complaint. She reported her contact with Crotchett to her boss and, she said, the response was swift. On Nov. 15, according to the complaint, she was notified that PPS was considering firing her for insubordination. A PPS administrator said, according to the complaint, that Tyvoll's "ongoing, unsubstantiated, negative verbal and written observations regarding safety concerns have created a baselessly negative view of TRC's education programming." Portland Public Schools declined to comment on the pending litigation. But, spokesman Harry Esteve said in a statement that student safety is a top priority, including in career technical education programs like 7GCTE. "In all cases, we conduct initial site safety checks before students enter a given CTE site," Esteve said. "Furthermore, we encourage employees to report any safety concerns they may have or observe. If concerns are raised, our Office of Risk Management is brought in to do a safety check. We use Risk Management because they have environmental safety expertise. If a site is determined to be unsafe, we do not send students to it." Tyvoll accused Jeanne Yerkovich, director of the CTE/Career Pathways program, and Kehaulani Haupu, then-interim director of the Office of Teaching and Learning, of directing her to stop documenting her concerns. "Ms. Tyvoll responded that it was her ethical and professional obligation to document her concerns about student safety at TRC," according to the complaint. Tyvoll says she was fired on Dec. 29, after an appeal to the school board was unsuccessful. "PPS wrongfully terminated Ms. Tyvoll because she was fulfilling an important societal obligation to report and protest specific and serious dangers to student safety, and because she intervened when she reasonably believed sending students to TRC posed a danger to the students," reads the complaint prepared by the Portland-based law offices of Judy Snyder. "Schools have a special duty to not unreasonably expose students in their care to a foreseeable risk of harm." A spokesman for the ReBuilding Center said the program still teaches PPS students, though Esteve said they have not signed a contract yet for 2018-19. "At the Rebuilding Center, we greatly value our partnership with Portland Public Schools, and the opportunity to provide hundreds of local students with such an amazing learning experience in our woodshop," said Jose Valera, who serves on the nonprofit's board. "Serving over 1,000 kids and adults each year, safety is our number one priority and we have an excellent safety record in our education space. The Rebuilding Center staff incorporate best practices for safety and expert advice into our programs and operations." Valera added: "We take all safety concerns seriously and are conducting an internal review of practices and procedures." UPDATE (8/6/18): The name of Jackson MIddle School was corrected.